12 Months Training Contract Application Mentoring for up to 15 law graduates, paralegals and non-qualified lawyers from Ten-Percent Legal Recruitment. Looking for help finding a training contract? From January 2013, Jonathan Fagan, legal career coach, author of the Legal Recruitment blog, solicitor (non-practising) and MD of Ten-Percent Legal Recruitment is going to work with up to 15 people for 12 months at a time to help each one to find and secure a training contract and qualify as a solicitor. The assistance will be as intensive as you want it to be. You will have access to expert advice on training contracts when you need it by email and telephone, as well as face to face meetings as you progress through the process of making training contract applications. The scheme is just as relevant to those applying for Magic Circle training contracts as it is to those applying to high street law firms. 3.List of firms applied to so far (ever). Our scheme will include a full 2 hour face to face meeting with Jonathan Fagan in London or Chester, 12 months support by email and telephone, 12 months full and unlimited access to all the products in our Legal Careers Shop, interview preparation and analysis, mock interview and assessment sessions, CV preparation and reviews, covering emails and letters, speculative application assistance, two additional follow up face to face support sessions in Chester. We will select clients we want to work with and reserve the right to reject anyone we do not want to assist. Naturally there will be a cost for this service, which will be paid either on a monthly or annual basis. The Ten-Percent Foundation is a charitable trust set up over 10 years ago for a whole range of purposes. Ten-Percent Legal Recruitment donates 10% of annual profits to the charity, which is the only income the trust has. During the years of 2008-2010 the company struggled to meet the payments, thanks to the recession, and as a result Ten-Percent Legal Recruitment owes an amount of money to the Ten-Percent Foundation from this period. As part of our effort to reduce the deficit (we sympathise with George Osbourne on this point! ), we have decided to offer the services of me, Jonathan Fagan, for occasional free career coaching sessions to anyone in the legal profession experiencing financial hardship, in lieu of our own financial commitment. These will be available to any qualified lawyers or law students/graduates in receipt of Jobseekers Allowance (or equivalent) and usually possible at fairly short notice (4-7 days) to meet us in London and occasionally Chester for a free 1-2 hour legal career coaching/CV writing/interview training session. There is no charge for this. To put it into monetary terms the usual cost of this service is around £300-700 depending on your circumstances and the session we agree to hold with you. Between 2009 and 2010 the Department of Work and Pensions contracted with us to provide careers sessions to unemployed professionals and we undertook approximately 400 sessions like this in all walks of life (although my specialism is legal recruitment). To benefit from the service, simply email us at cv@ten-percent.co.uk, confirming your receipt of JSA and giving us a bit about your situation. We do not want to know about your finances (we are not that nosy!) but rather your career to date and any particular problems or issues you have that I can assist with. We can assist with legal career coaching - ie decisions regarding your legal career whether short term or long term, interview coaching - if you are failing to get past the final hurdle - and CV writing. We will choose who we want to assist and reserve the right to be extremely selective. We do the same with our paid careers services - I think we turn down about 50% of people who ask for a quote..
As and when we have a session available, we will email out to notify you. This will be a once only offer and the date and time given will not be adjustable. We will also ask you to sign an agreement confirming that you will pay a £150 administration fee if you fail to turn up without a valid reason, which will almost always require a medical certificate or similar. After all, nothing is more frustrating that someone deciding not to attend when we may have turned down another 20 people for the same session. Please do not a) telephone us, b) email us or c) pester us about this service. Simply email once. 99.9% of email arrives, and if anyone does contact us apart from an initial email we will not consider you. Jonathan Fagan is Managing Director and Legal Career Coach with Ten-Percent Legal Recruitment - Online Legal Recruitment for Solicitors, Legal Executives, Fee Earners, Support Staff, Managers and Paralegals. Visit our Website to search or download our Vacancy Database or view our Candidate Database online. We have recently given CV advice to a client and thought that some of this was relevant to a wider audience of law students, graduates and solicitors. The advice relates to specific fields of the CV. I have kept your profile very short and to the point. This is because the profile is there to instantly tell a recruiter or partner exactly who you are, coupled with the personal info at the top of the page, in less than 5 seconds. It needs tailoring to the post you are applying for on every occasion. For example if the post is for an Associate Real Estate Solicitor (ie you are applying to a larger commercial law firm who use different terminology to many others) you will need to describe yourself in this manner or at least get the keywords across in the profile. Very often the first person to see your CV will be a HR Assistant or fairly junior member of staff who will not really appreciate your worth as much as more senior people. If you want to add any more try to keep off anything subjective - eg enthusiastic, good communication skills etc.. etc.. - always come across as meaningless. (this client is fairly senior in years). It is still worth including your A level and O level results, particularly if you have 3-4 A levels at grades A-C. We get asked as recruiters (Ten-Percent is a legal recruitment consultancy working with solicitors firms of all shapes and sizes) for school results for solicitors even when they are 10, 20 or 30 years PQE. Obviously if your results are not very good then can leave off the CV. I have concentrated on your most recent post. This particular aspect of the CV will need tailoring depending on the post you are going for. I have conveyancers on our books who have 3 CVs - one for residential, one for commercial and another for a mix of conveyancing and private client work. This is because the focus on work for each is completely different. It is always better putting everything you want an employer or partner to know about you in the most recent piece of experience. Marketing and networking needs expanding on, particularly if you have a following. What do you do exactly or what have you suggested? Is it quantifiable - ie can you say for example that an initiative cost £7k and brought in £25k in fees? Can you outline the initiatives you have been involved in or have suggested? What groups are you a member of - chambers of commerce, FSB, BNI meetings, groups of potential leads - ie golf clubs, rotary, round table etc.. etc..
Management can be added in as well. Usual things are business development, planning, financial management, performance targets for team members, employment and HR issues, disciplinary matters. Our Legal CV Template contains quite a few examples of different fields of law and entries on CVs. Labels: CV advice update, personal profile, what employers look for in work history for solicitors. Vacancy Update for 20th October 2012 - taken from our Daily Legal Jobs Blog - if you would like to apply for any post please email a CV to Ten-Percent Legal Recruitment - cv@ten-percent.co.uk and quote the reference number. 14695 Conveyancing and wills &; probate solicitor Conveyancing and Wills & Probate Solicitor Bristol A conveyancing and wills & probate solicitor or legal executive is needed for a small firm in Bristol for a 6 month locum assignment for maternity cover to start ASAP. 14696 Litigation Solicitor Civil Litigation Solicitor Chelmsford A mid Essex firm is looking for a litigation solicitor or legal executive. The ideal candidate should have commercial or civil litigation experience and preferably employment law experience. The firm are looking for someone who has around 1-3 yrs PQE. 14697 Corporate Immigration Solicitor Immigration Solicitor West London A small, expanding firm in West London is looking for a corporate immigration solicitor to assist with a busy caseload. 14698 Residential Conveyancing Solicitor Conveyancing Solicitor Peterborough Firm in Skegness are looking for an experienced residential conveyancer who is able to work with minimal supervison using a case management system. 14699 Duty Solicitor Crime Duty Solicitor South East London A large practice near Crystal Palace in South East London is looking for a duty solicitor to work on a freelance or salaried basis. This firm will pay up to 45K depending on experience. 14700 Conveyancing Solicitor Residential & Commercial Conveyancing Solicitor Harrow Firm in Edgeware, Middlesex are looking for a conveyancing solicitor with experience in both residential and commercial property. The ideal candidate will have at least 3 yrs PQE and preferably an understanding of Chinese as the firm have a strong Chinese client base. 14701 Conveyancing Solicitor Residential & Commercial Conveyancing Solicitor East-Central London Firm in Central London are looking for a a conveyancer predominantly for residential work and some light commercial work. They are looking for a candidate with relevant experience (over 2 years PQE) who can hit the ground running with the work load and are willing to market themselves, has some networking and entrepreneurial flair to bring in new work as well continue with the existing case load. The salary on offer is between £25,000 and £30,000 plus Bonus. 14702 Conveyancing Paralegal Residential & Commercial Conveyancing Paralegal North West London Firm in North West London are looking for a paralegal for their conveyancing department. The ideal candidate must have experience in both residential and commercial conveyancing. 14703 Civil Litigation Paralegal Civil Litigation Paralegal North West London Firm in North West London are looking for a paralegal experienced in civil litigation. 14704 Commercial Litigation Paralegal Commercial Litigation Paralegal North West London Firm in North West London are looking for a paralegal expeirenced in commercial litigation. 14706 Duty Solicitor Crime Duty Solicitor Luton Firm in Luton are looking for a duty solicitor either on a salary or freelance on a monthly retainer of £600 - £800 and 40% of billable work. Higher right of Audience would be an advantage. 14707 Legal Cashier Office Support Legal Cashier East-Central London Firm in Central London are looking for a billings clerk/legal cashier with criminal or civil legal aid billing experience for a full time role. Salary 26K-30K depending on experience. 14708 Billings Clerk Office Support Legal Cashier Cardiff A billings clerk is sought for a Cardiff firm for predominantly family work. The ideal candidate must have LSC billing experience, albeit at a junior level. Salary levels around 18K but negotiable. 14709 Billing Clerk/Legal Cashier Office Support Legal Cashier East-Central London Firm in Central London is looking for a full time billing clerk or legal cashier for an immediate start. The ideal candidate must have criminal or civil legal aid billing experience. Salary £26-£30K depending on experience. 14711 Legal Cashier/Billing Clerk Office Support Legal Cashier South West London Firm is South West London are looking for a billing clerk mainly for the family and immigration department.. The ideal candidate must have LSC billing experience. Salary is dependent on experience. 14712 Child Care Law Solicitor Child Care Law Solicitor South West London Firm in South West London are looking for a child care law solicitor for an immediate start. The ideal candidate must be a member of the Childrens Panel. The salary is dependent upon experience and scope of work to cover and the firm are also open to a fee sharing arrangement. 14713 Legal Cashier Office Support Legal Cashier Chelmsford Legal Cashier sought by Harlow firm - looking for someone for 2-3 days per week who is able to use Opsis Millenium software if possible but not essential. Must have experience of LSC funded work. Salary £20-25k pro rata. 14714 Family Supervisor Family/Matrimonial Solicitor Enfield Firm in Enfield, Middlesex are looking for a LSC family supervisor to work 2-3 days per week. The firm are looking to pay £30K pro rata. 14715 Conveyancing Paralegal Conveyancing Fee Earner - all Maidstone "Firm of solicitors based in Gillingham seek a conveyancing assistant to help the senior partner. Will need to have at least a few years of conveyancing experience to be considered and also be prepared to assist with admin and supporting the senior partner. Conveyancing experience does not need to have been recent in order to be considered. Local applicants preferred." 14716 Residential Conveyancing Executive Conveyancing Fee Earner - all West London Medium sized firm in West London are looking for a residential conveyancing executive for a permanent post. Salary £20K. 14717 Costs Draftsman Costs Costs Draftsman Redhill Experienced Law Costs Draftsman sought to deal with Claimant bills and preparing points of dispute in relation to the settlement of costs presented to the firm's defendant insurer (Personal Injury) clients. Interview Question - Where do you see yourself in ten years time? Interview Question & Answer – Where do you see yourself in 10 years’ time? This question is a classic example of why you should never give totally honest answers to questions during interviews. Instead you should always give answers that you think the interviewer will want to hear. The honest answer to both this question and the “Where do you see yourself in 5 years’ time” question is probably that you intend to retire, work for yourself, set up a different firm or be happily plodding along in a firm trying to avoid doing very much work at all, but where you are being paid a good salary. This is not however what the employer often wants to hear. They want to hear that you would be happy to be working in the post you are currently interviewing for or possibly having done such a good job you are in line for promotion to a different position. This is because when employers recruit they do not see just the first few months or the first few years in their heads, they see the next decade or so with you working in the same position. This does change a little bit with larger employers who are naturally expectant of you to be considering promotion at some stage, but smaller employers invariably are looking for someone to be committed to their firm and the position they are applying for. One of the main points given for feedback when somebody is unsuccessful in a job interview is either that they are too experienced or too inexperienced for the post they have applied for. The excuse is often given that the employer feels that the person will be bored in the role because it is too junior, or that they do not think the position will stimulate the person enough or vice versa. This question of where do you see yourself in 10 years’ time is often used to determine how committed you are to this type of role. “In 10 years’ time I would be happy to be still working in this position for your firm or in any position that you have deemed me fit for in the meantime. I am looking for stability and in return I am happy to commit to your firm for the long term”. “I aim to qualify and remain with the firm I have worked with as a trainee for a considerably long time. I hope that I am able to exceed your expectations in the short term and remain with you for the long term". (Interview Question and Answer taken from the forthcoming Ten-Percent Careers book - 100 Legal Interview Questions and Answers by Jonathan Fagan. Release date is Dec 1st 2012. Interview Question also featured in our recent Legal Recruitment Newsletter, sent to all registered candidates, and published at www.legal-recruitment.co.uk. Labels: interview question and answer, where do you see yourself in 10 years time? A new way of finding somewhere to lodge slots and get crime work has been introduced by Ten-Percent Legal Recruitment. The agency has been working with crime firms for over 10 years on duty solicitor, higher court advocate and police station vacancies. They have set up an online Rota Slot Shop for Duty Solicitors. So many firms are now using freelancers as well as salaried staff the company has decided to dedicate a mini-site to assisting with the sale and purchase of slots as well as salaried duty solicitor roles. You can register your details for the site, or if you are already a candidate with Ten-Percent just drop an email over with your requirements. The agency will post your information onto the site (anonymously) and keep you updated with potential offers of purchase of slots, work or salaried roles in your area. Monthly retainers in the last round of CDS12 duty solicitor rota signings ranged from around £400 to £1,200, although higher figures were reported in some areas of London. Locum Solicitors - how to survive. 10 top tips for lawyers and law firms. Interim Lawyers and Ten-Percent Legal Recruitment's Guide to Surviving as a Locum. 10 Top Tips for Lawyers and Law Firms. Here are our ten top tips for surviving work as a locum - tips for locums and for law firms. 1. Locums - make sure you turn up. 2. Locums - when you turn up, make sure you are smartly dressed. Turning up to work wearing a pair of jeans and trainers can be beneficial if you are planning to work for Google, but in a law firms these items of clothing are only seen on partners at weekends, and even then only when they are mucking out their horses or wandering around Legoland. This is our top tip. Think about it. When you leave the firm after completing your assignment and your legal locum agency requests a reference, who will the partners ask for feedback? The solicitor or fee earner you have covered for or their secretary who you have worked with? Most secretaries are very nice to locums and appreciate the difficult position they are in - parachuting into a firm and trying to assimilate to local working practices etc.. etc..
Others will hate you more than they hate their own bosses. Not only do they fail to get a relaxing two week break whilst their normal boss is on holiday, they get pestered by you asking where the stationery cupboard is. There is nothing to do but remain professional, polite and calm, even if someone is fairly hostile back again. Professional locums who work in firms all year round seem to handle this kind of atmosphere extremely well and almost let it wash over them. After all, you won't be there in two weeks! 4. Locums - try to work hard. May seem obvious but some locums appear to believe they are there simply to fight any fires that crop up. Most firms do not want a locum to do this. They want the locum to work as if the normal fee earner was there. The normal fee earner will not sit back in his/her chair and wait for work to cross their desk. They will be proactive and ask about if there is anything they can do. 5. Locums - do not fail to complete the assignment. Similarly applies to locums who accept assignments they are not experienced enough to handle. Rarely happens, but just occasionally it does. See 'don't fail to turn up' above for your future work prospects. 6. Law Firms - do not expect miracles. I get the impression that some partners at law firms put the locum lawyer on a target at the end of the range and attempt to shoot them down. Locums generally are either semi-retired lawyers looking to generate a bit of income, professionals who spend 9 out of 12 months in the year locuming and 3 months skiing or sunbathing (ie lifestyle choice), or unemployed lawyers who cannot find permanent work. You are not going to get the perfect lawyer to cover your vacancy - ie you will not find a mirror image of yourself! 7. Law Firms - pay the locum. It always helps if you pay the locum on time, not 6 weeks later. Can be a trifle annoying for the locum to have to break into their overdraft! 8. Law Firms - avoid cancelling the assignment with 24 hours notice and then reposting a few days later. This can lead to a lack of any applicants. Most locums are registered with various agencies and not just one. You will get a bad reputation and potentially struggle to recruit in future. 9. Locums - don't use the opportunity to sell your services to other law firms. It is generally considered poor practice bordering on a breach of various data laws to advertise your wares as a locum to lots of different law firms whilst working on an assignment for another one. 10. Locums - be nice to estate agents and other introducers. I recently coached a solicitor who was dealing with the most unbearable conditions at work, but with a familiar story to me as I have coached may others in similar circumstances. 1) No staff perks at all. 2) No days out, meals out or any staff events. 3) No staff induction when you join the firm. 4) No words of encouragement at any time from any other member of staff during this person’s time at the firm (well over 5 years). 5) No social events at all amongst any staff whether organised by the firm or by the staff. 6) A process whereby if someone requests annual leave one of the partners grills that person to determine whether they are going for a job interview or whether they have something else planned. 7) If a complaint about someone’s behaviour is made then the person who has made the complaint is usually dismissed within 2 to 3 weeks. 8) A reasonable salary is paid in line with other firms, but the firm expects a level of billable hours that is next to impossible without working a 60 hour week. 9) An expectation that each employee will work for at least 10 hours per day and not leave the office before 7pm each evening. This is not an LSC funded firm - ie they don't do legal aid work - which I think gives some firms an excuse of sorts for this type of behaviour when hourly rates can be £45 per hour. Some firms make me want to tear what’s left of my hair out in frustration. They behave as if they are feudal lords in medieval times. Some firms seem to have got very big very quickly on the back of Government and larger organisation tenders but have absolutely no idea how to treat their staff. The partners themselves under immense pressure because of the level of tender they have pitched at and in order to achieve the levels required under the tender they have to work both themselves and their staff to the bone. This almost inevitably results in totally unacceptable working practices where professionals are constantly criticised, put under pressure, not given any encouragement, and just expected to turn up, do their work and go home, albeit at some point in their own time because of the hours the firm expect them to put in. Why law firms think they can get away with this I have no idea, but I see it so many times when we are pursuing bad debts with law firms who think they do not need to pay us because they are solicitors or barristers. I do recall one infamous case we had whereby a barrister who was running a law practice put in her defence to the court which contained the mere mortal lines, "I am a barrister and if I owe money I always pay it". Needless to say we won the case and the Judge was not too impressed. There seems to be an attitude amongst solicitors in some areas of the country that make them believe they are above the norms in society and also beyond the reach of the law. The behaviour being exhibited by the partner in charge of the person I coached recently is nothing short of bullying and if a client had gone to see that partner complaining of behaviour like this then no doubt he would be advising them to take a tribunal case against their employers. There have been so many horror stories in recent times involving law firms where the partners think they are beyond the reach of the law (dismissing pregnant solicitors etc..) and in some way invincible, that it beggars belief that there hasn’t been more of a clamp down by the various regulation authorities against law firms than there has been. Of course there are plenty of extremely good law firms who treat their employees with respect and dignity and have a good relationship with the local community. Unfortunately there are also law firms out there who have one sole aim, which is to do the dirty on as many people as they possibly can including their own staff and make as much money as possible off the back of this. Whilst I have no problem at all with anyone making as much money as possible (afterall why would I write this blog if it wasn’t with the intention of attracting more people into my business...), I do have a problem with companies and organisations who do it at the expense of treating others like dirt. If you are a bully and are reading this, I hope it makes you think twice about your behaviour towards your staff in future, because it makes their life a misery and in the long term it also makes your life pretty awful as well. After all there is often a reason why bullies behave the way they do and it is usually because their own lives are pretty horrible! Jonathan Fagan - MD of Ten-Percent Legal Recruitment. 'LLB graduates and in fact A-Level students are ripped off regularly by education providers'. This may sound like a fairly controversial statement, which of course it is, but here are the arguments for suggesting that students are regularly ripped off by providers. Students without sufficient grades to ever qualify are allowed, if not encouraged, to take degrees that will not enable them to progress. When students have graduated they are encouraged to take courses at Masters level and post graduate diploma but would never increase (or decrease) their career prospects. Students are encouraged to take the BPTC (Bar Professional Training Course) when they have absolutely no hope in hell of ever getting pupillage at the Bar which at best is elitist and at worst is nepotistic. Instead of encouraging A-Level students to go and do courses that could lead into relatively secure jobs in engineering or science or indeed IT, teachers encourage them to do classics and legal studies, despite there being no jobs at the end of the courses. The standard of law taught at some universities has absolutely no bearing at all on any future legal career as the tutors teaching on those courses have never been in practice or the teaching is loaded towards training at the Bar. These are my arguments for supporting the suggestion that an almighty rip off is taking place and that some people believe there is a conspiracy of sorts between the education cabal of the LPC and BPTC providers and the Law Society/SRA. The mass of unemployed law graduates can only be good for one type of thing, which is a career of paralegal and intern work. We are getting to the point where there are so many unemployed LPC graduates out there who have never worked in the legal profession apart from for work experience and who have absolutely no hope in hell of ever finding a training contract because their grades are so low and they do not have sufficient work experience or contacts in the industry, that they are probably wasting years of their lives trying to get into law when their earning capacity as a lawyer is extremely minimal. I have to say that the recent removal of the minimum wage has again probably more to do with the education providers wanting to be able to push more of their students into training contracts than anything to do with quality or survival of the profession. I argue that the only way to keep solicitors as respected members of society undertaking an important task is to restrict numbers of entrants in and not to open the floodgates. The problem with opening the floodgates is that you end up with a profession that is similar to accountants. The problem accountants have is that there are so many different types of them and that anyone can call themselves an accountant, be they chartered or otherwise, that the status of accountants has been completely diluted. This works well for the larger companies who could employ armies of part-qualified staff but on the high street means that nobody actually trusts the qualification or brand of accountants any more. The same is going to happen with solicitors and is probably taking place right now at an alarming rate. The removal of the minimum wage means that a lot more people will be able to get training contracts, but once they have completed their training contracts there will be an awful lot more lawyers out there who are qualified solicitors that have never worked as a solicitor because no-one will employ them due to the standard of their education and training. This gets me back to my first point. No matter how you look at it, eventually if you do not have decent A-Level grades and a good undergraduate degree then chances are your career in law will be fairly stunted and is unlikely to ever provide you with a meaningful career or income. This is where the ripping off of students takes place because no-one ever tells them this. So many times I have been career coaching over the years and picked up a CV for someone who has grades D, D and E at A-Level and a very low 2:2 Degree, coupled with hardly any work experience and them complaining that they cannot get work experience or a training contract. Don’t get me started on Barristers, where the vast majority I would argue give the perception that they have found their jobs through family friends and almost always has nothing to do with merit or ability (although I concede that I haven't professionaly met many incompetent barristers). In summary, I would argue that a restriction on entry would be of great benefit to the legal profession. Restrict the numbers coming in so that only those people with a very good degree and outstanding A-Levels can progress, and reduce the number of law schools offering the Legal Practice Course and the BPTC. Furthermore, the advertising standards agency should keep a close watch on any advertising that encourages people to spend money on academic courses where either they are completely unsuitable or the academic course providers make unsubstantiated claims about the benefits of doing that particular course (LLM advertising in recent times is a good example). One anecdote to finish with. I recently career coached a person who was contemplating a second career as a barrister. She had a friend who was a barrister who had told her that she would make a very good barrister. She had spoken to a local University, who shall remain nameless, and was advised by their admissions secretary to take the LLB undergraduate degree because this was the best grounding anyone could have in order to become a lawyer. However, her grades at A-Level were very poor and she already had an undergraduate degree. Obviously she did not need to take another one and probably would be eligible to go straight onto the graduate diploma in law (GDL), which of course that particular university did not provide. This type of advice is absolutely shocking and could have cost this particular person many thousands of pounds and years of her life. I do not think she would have ever have managed to qualify as a barrister and even if she had the costs would have been astronomical in terms of the debt she may have racked up. As someone who could not afford this, with young children and a mortgage, this was clearly not the career move to take and the particular University in question should be ashamed of themselves. Labels: are law students conned? County Courts - a Danger to Society? County Courts – A Danger to Society? This is probably a fairly inflammatory title to have for an article but I feel very strongly about this issue and the danger that county courts offer to a society in general if they continue to be run in their current state and decline further. You may have read in my blog in recent years of our company’s frustrations at dealing with the county courts. We have seen sheer incompetence, intransigence, arcane and antiquated procedures and staff who are either so demoralised they don’t care or simply can’t be bothered in any event. Our most recent run-in with the county courts has been in a case where a law firm owed us an amount less than £5,000 which put us well and truly within the Small Claims Track, which is where we are quite happy to be. Unfortunately the law firm we were suing had worked out that the courts are so incompetent that they could simply counter-claim against us for £50,000, not pay their issuing fee, fail to pay their allocation fee and still get a case management conference hearing booked in before a Judge in Chambers. As we are a Limited Company, although we are based up in North Wales (with a satellite London office) the case was transferred to the solicitors’’ firm local court, which of course meant that the case management conference took place in South London and if we had decided to attend ourselves would have cost in the region of about £400, almost 10% of the cost of our claim. Fortunately on this occasion we were able to instruct an outdoor clerk to attend for us and surprisingly enough (or not) the solicitors’ firm failed to attend and we got judgement in our favour with the counter-claim being dismissed. The frustrating point about this was that the Case Management Conference should never have taken place. I telephoned the court to ask if the defendants had paid their allocation fee and issuing fee and the court informed me that they did not need to and that the case was going ahead in any event. Please correct me if I am wrong, but my understanding of the CPR rules was that you need to pay an issue fee if you counter claim and this has to be done before the hearing takes place. That has always been my experience and we have fallen foul of this a few times over the years when we have forgotten to pay. However on this occasion the county court in question decided that it would be appropriate for everyone to attend court and for a case management conference to occur even though we were the only ones who had paid our fees. I find this very difficult to fathom as county court staff appear to be well paid civil servants with excellent pensions, and should understand the process (and in fact almost every time we have any dealings with the courts seem to understand the process better than anyone else including the Judges). Our second recent run-in has been with an application fee. We issued proceedings against a solicitors’ firm in January for failing to pay a bill (you may notice a common theme in solicitors’’ firms failing to pay bills!) and sat back and waited for the Small Claims procedure to kick in for the case to go ahead, with a hearing date and the offer of mediation etc to take place. We heard absolutely nothing after we sent in our allocation questionnaire - the court have still not responded. About 6 weeks ago I telephoned the court in question, which was a County Court in North London, and was informed that they were still waiting for the Salford County Court Centre to send them the allocation questionnaire of one of the two defendants we had issued proceedings against. I asked what would happen if they did not receive this from the Salford Centre and was advised that the court would have to wait for it. Now as any fool knows, justice delayed is justice denied and if you are chasing a debt there is nothing worse than waiting 6 to 12 months when the defendants have quite happily shut office and moved on to other and better things leaving a trail of creditors in their wake. It is one thing to get frustrated by the defendants at enforcement stage, but another thing entirely to get frustrated by the courts being so incompetent and slow that nothing happens in the case for well over 5 months. I have written to the court a couple of times in this time but unsurprisingly have received absolutely no response. In order to get things moving I put in an N244 Application to have the case listed before a District Judge and to air my grievances in writing in the hope that the District Judge would list the case and set out directions accordingly. However, after sending my cheque for £45 with the form N244 I was astonished to receive it back again approximately 3 days later (how is that for efficiency) with a curt note to inform me that the HMCS is no longer called HMCS (Her Majesty’s Court Service) as it is now called Her Majesty’s Courts and Tribunal Service and any cheque payable to HMCS will be returned because it ought to have been payable to HMCTS. I am absolutely gobsmacked that a government department the size of the Court Service could possibly just decide unilaterally at some stage that they were going to change the name on their bank account to HMCTS from HMCS. This is complete and utter madness. The court have had to process my application, send it back to me, with the cost of postage and take the time to write a letter which surely has cost in the region of about £30-£40 in admin costs, when if they had two bank accounts, one with HMCS and one with HMCTS they could continue to cash the cheques sent to them in error and everything would run a little bit more smoothly. However this is not to be and some nameless official somewhere has clearly decided that it is to cost the taxpayer even more money and insist that everybody gets their cheques returned to them. I hope I do not have to say anything else about the county courts and my experience of some of them has been absolutely excellent, but there seems to be a whole sway of county courts in the London area where the whole process is nothing but sheer incompetence from start to finish on the part of the court and the court staff. This gets me back to the point of this article. This utter incompetence impacts on the reputation of the County Courts as functioning state institutions for rectifying matters in disputes. It will eventually impact on society in general. Let me give you an example. There was a businessman I know who ran a perfectly viable company. He got into a dispute with a haulage company for around £25,000. The obvious remedy for the haulage company would be to go for a claim in the county court to recover the money from the company on the back of their contract, using the county court structure to enforce judgement once they had it. There is a much more (highly illegal) effective method of getting paid, and one that could be argued to be an indirect result of the inability of the County Courts to provide an acceptable level of service. The haulage company had obviously worked out that there are so many loopholes in closing down companies and taking money out without having to pay creditors and that the county court structure is so useless it is incapable of providing them with any compensation in these circumstances that they took another option. One of the hauliers simply telephoned the directors of the companies concerned and advised them that their legs would be broken if they did not pay the full amount within 7 days. Furthermore, the haulage company knew where the directors lived and would be coming round to see them very shortly to collect the money. As they would be driving a large lorry, this could accidentally flatten any cars parked outside the directors' houses. The directors of this company decided that they could not trust the police to protect them in these circumstances (another example of breakdown of trust in the ability of the state to provide a functioning service?) and paid out from their own accounts straight to the haulage company to avoid any pain to their legs or damage to property. This is a damage that the county court structure not functioning and providing the rule of law has on society. If we carry on the way we are then nobody will have any trust at all in the county courts or the structure and this type of action by the haulage company in question will become the norm. I hope that someone from the court service and the government reads this blog and takes this into consideration when they next decide to cut services, or to let staff either be too demoralised to work, or provide such a terrible service that it brings the whole of the court process into disrepute. Removing the Trainee Solicitor Salary Cap - a good idea? The Solicitors’ Regulation Authority have recommended the removal of the training contract minimum salary, something that appears to have been broadly welcomed by a large number of organisations which include a significant number of vested interests, such as LPC providers. Is this a good thing? I don’t think so. Probably a very controversial opinion, but I don’t think the legal profession as a whole can be trusted not to exploit potential trainee solicitors and take advantage of large numbers of desperate students and graduates who believe they need a training contract at all costs. Furthermore, what on earth is the point of permitting law firms to effectively take on large numbers of low paid workers who can then be permitted to carry on and qualify as solicitors? Where does this leave the status of a newly qualified solicitor? Already in debt to the tune of around £25,000, NQ salaries in non-commercial practices are almost certain to plummet. There are a good number of law firms out there whose sole purpose is to exploit just about everybody they have any contact with including their own workers, their clients and any third party such as the Legal Services Commission. These firms have to be regulated and monitored closely and the Solicitors’ Regulation Authority appears to spend its vast majority of time trying to avoid undertaking too much work and keeping very close tabs on firms. One area where a vulnerable workforce is in dire need of an external organisation keeping close tabs on their employer is trainee solicitors. Trainee solicitors are particularly vulnerable because they invariably have large debts, are in need of a training contract in order to progress their career and fairly naïve in terms of the work place and any work they are asked to do. By removing the minimum salary cap from trainee solicitors the Solicitors’ Regulation Authority will be giving these firms carte blanche to recruit as many trainee solicitors as they wish on a ridiculously low salary, provide a so-called training contract which in reality is anything but and to send these people out into the work place 2 years later as fully qualified solicitors. The SRA have had no thought at all into the future large numbers of trainee solicitors who are going to struggle to get a newly qualified position. Furthermore they have had no thought at all to the likely future salary of any newly qualified solicitor as chances are firms will be able to drop newly qualified salaries even further than they currently have because there will be so many desperate trainee solicitors looking for their first newly qualified position. We already have a profession where entrants into the profession are some of the lowliest paid. It made me laugh recently to hear of the Police Federation vehemently protesting that they thought a fairly recently qualified police officer could be earning as little as £22,000, when I am regularly dealing with 5 year PQE conveyancing solicitors who earn less than that because their firms have either taken the opportunity to mercilessly exploit them by claiming they cannot afford any more or because market forces dictate that there is so little work out there at present, they simply cannot justify a salary higher than this. I don’t think the legal profession is responsible enough to regular itself with minimum salaries for trainee solicitors and I think the removal of the minimum salary is nothing short of a catastrophe for generations of younger potential solicitors to come. One of the biggest areas to get hit in the recession across the UK was the property industry. This naturally included residential property, commercial property, new construction and all the related jobs in the legal profession which inevitably involved conveyancing solicitors and executives. I must have spent about 10% of my time as a legal recruitment consultant over the past 3 years talking to desperate conveyancing lawyers who have either had to fine alternative work or take drastic pay cuts in order to stay either in their posts or move to a new one. At times I have felt a little bit like a counsellor as opposed to a recruitment consultant because so many of these people have found themselves in desperate situations. If you rewind the clock back about 7-10 years conveyancers were the kings of the high street. If we got a conveyancing candidate in we would immediately market them to as many different firms as possible because so many firms were keen to take on extra staff and there was a massive shortfall in the number of staff available. At times it felt as if we had to cajole people into positions and sell the benefits of joining an individual firm to them. This all changed of course and the roles reversed exactly opposite. If we got a conveyancing job in over the last 3 to 4 years we would be selling candidates to firms in the hope of finding someone the firm liked as opposed to vice versa. However a recent phenomenon has occurred of there being conveyancing vacancies and no conveyancers are bothered about applying. A recent example would be a probably very well paid locum position up in the North West of England. This will last between 4 to 12 months and is at a fairly senior level of 5 years PQE or more. We have over 250 conveyancers based within commuting distance of this particular firm who have 5 years PQE or more and have expressed an interest in locum or longer term contracts or permanent roles. I sent this vacancy out to all of them a few days ago, and had precisely one response from a candidate who did not fully fit the job description. I know for a fact that at least 10 out of the 250 are unemployed and desperate for work (because they call us fairly regularly) and yet none of them bothered to get in touch. I can almost guarantee their response if I phone them to ask if they are interested. "Sorry this is slightly too far away and I am only looking to work on Monday to Thursday and possibly alternate Wednesdays". I must confess to being quite liberal/left wing in my approach to life. The values of the Conservative party are not something I rarely support. However, I have to say that I completely agree with Norman Tebbit and Ian Duncan-Smith when they talked about people needing to wake up to the realities of life and get on their bikes to find work. It seems that so many people have got set in their ways with specific requirements to the way they work that they have lost touch with reality and the fact that they need money in order to survive. If a fairly lucrative contract comes up in a different area but maybe slightly inconvenient and not fit around a shopping trip or picking the kids up from the nursery then a lot of people simply won’t entertain that post. Personally I will do whatever it takes to support my family (within reason of course!) and if I was needed to go and work in the Outer Hebrides during the week with one weekend off every four in order to pay the mortgage and the household bills then that is something I would do without thinking twice about it. There are so many people in this recession who, it seems, still think that the world owes them a favour and that things need to be served up to them on a golden plate. We see this with vacancies coming through when we get a good candidate who fits the vacancy and the vacancy fits them, but the good candidates suddenly decide that they are looking for something more and start to negotiate right at the end of the process. It seems to be almost that a fashion or culture of wanting to feel wanted yet at the same time wanting more than you can possibly expect and being surprised when that is not handed to you. It seems to be right across the PQE range. I have a number of candidates registered who have taken jobs working as an administrative assistant with 20 years PQE, stacking shelves in Tescos with 7 years PQE, working in bars/pubs at NQ level. These candidates will do what it takes to survive and apply just about anywhere in the UK. Similarly I know of plenty of other candidates who have just sat back and waited for work to come to them without making any effort at all to market themselves, get work of any kind or pull out all the stops to get by. So if you are reading this and are looking for conveyancing jobs and decide to phone me and start telling me how awful the market is and how hard your life has been, take a long hard look at yourself and think carefully – have you made every effort you could to go and find work or have you simply looked within a 5 mile radius of your home in order to fit in with your current lifestyle? If it is the latter, please do not waste my time talking to me about how difficult the market is because you are likely to get short shrift. 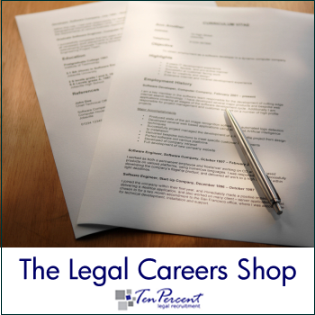 Our Careers Shop has eBooks on CV Writing for Lawyers, Legal Job Interview Guide, Interview Answers for Lawyers, NQ Career Guide, Guide to Finding Work Experience or a Training Contract and the Entrants Guide to the Legal Profession. To visit our Sale/Clearance section please click here. Paying for Paralegal Posts and Training Contracts - a damning indictment on the profession or the way forward? I have just received an email from a graduate requesting advice who has been invited to attend an interview for a job as a paralegal with a firm of solicitors. The graduate has been informed that she has got to pay them £9,000 to be considered for this role. This gets her 6 months of paralegal training, a funded LPC and possible training contract. In fact it seems the firm offer access to up to 40 training contracts, although it is not clear exactly how this works. As far as I understand it, this activity is not only against employment regulations, but is also a criminal offence. It is a little too similar, in my opinion, to recruitment agencies charging candidates for their recruitment services. I have come across firms in Yorkshire charging up to £30,000 for a training contract, but I have never heard of one blatantly advertising the charges up front before an interview. Is this the new level to which the profession has stooped?